Like others enrolled in the WCU MSA program, I am pursuing school administration because I want to impact the education of young people beyond my classroom. My classmates’ sharings have given me insights into how I should be growing into this next stage of my educational career. 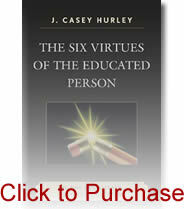 That said, one of the resources that has had the most profound impact on me is The Six Virtues of the Educated Person. This text offers an alternative model of education that is based on the idea that we ought to emphasize virtue development in schools. And it seems to me that the key virtue is humility. Lately I have been thinking about this every day. I realize there are many humble administrators, and I am fortunate to work with two of them. They always go above and beyond the call of duty to do whatever it takes for our school to be excellent. They pick up trash, organize events, and perform countless other tasks because they know everything about the school reflects on our students, faculty, staff, and community. Humble administrators do it, not for the glory, but for the benefit of everyone. 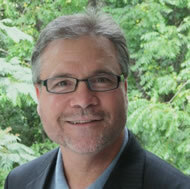 The humility I see in my colleagues inspires me every day to do all I can for the school. I would not be able to look at all of this the same way without recognizing the role that humility plays within the framework of the six virtues. I am grateful to Dr. Hurley for having the courage to write such a different kind of book on education and to share it with us. Every day I see that people who demonstrate these virtues make their schools better. These are the virtues we all should be modeling.